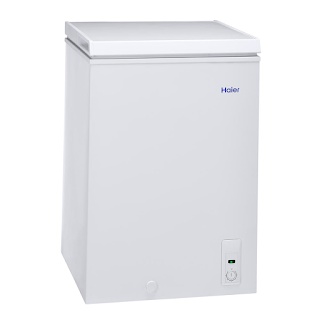 A freezer is a worthwhile investment regardless of the size of your family. The above freezer is the exact one that I bought a few years ago. It's just my son and me, so this size of freezer is appropriate. If you have a big family or there is a hunter in your family so you need to store large amounts of meat, a larger freezer would be the way to go. This little freezer only cost around $150. I got it from Wal Mart, and they delivered it for free. It has been very reliable and has helped save money by allowing me to purchase frozen items when they are on sale and stockpile them. I am also able to save money by making casseroles and freezing the leftovers. This freezer has paid for itself many times over. A freezer is a sound investment which will make life easier in the long run.